The Loudoun County government has been recognized with several achievement awards from the National Association of Counties, honoring innovative, effective county government programs that enhance the many services that counties provide. Loudoun’s award-winning programs include adult programming through community partnerships, historic records education, instituting an innovative local risk assessment program, and the Loudoun Metrorail Training Simulator. In addition, Loudoun has won an award from the National Association of County Park and Recreation Officials, a NACo affiliate, for the Senior Summer Camp program. Like many library systems, the Loudoun County Public Library needed to raise awareness among adults in their 20s and 30s about its resources. Many programs geared toward adults, particularly those who are single and/or without children, often drew crowds that were counted in the single digits. In response, the library began offering programming exclusively for those 21 and older with the help of businesses in the county. The results of this initiative include events such as “Harry Potter Night,” which drew 600 attendees and was bolstered by partnerships with numerous local restaurants, a winery and the county’s Office of Mapping and Geographic Information. The Loudoun County Clerk of the Circuit Court Historic Records Division, which developed and implemented programs to promote and enhance awareness of historic court records in 2016, expanded the program in 2017 by partnering with other history groups and government agencies. Loudoun County has one of the most complete and diverse collection of historic court records in Virginia. The program offerings in 2017 included a Black History Month display, a World War I presentation, a session offering information on preservation of court documents, and a maps/plats display. 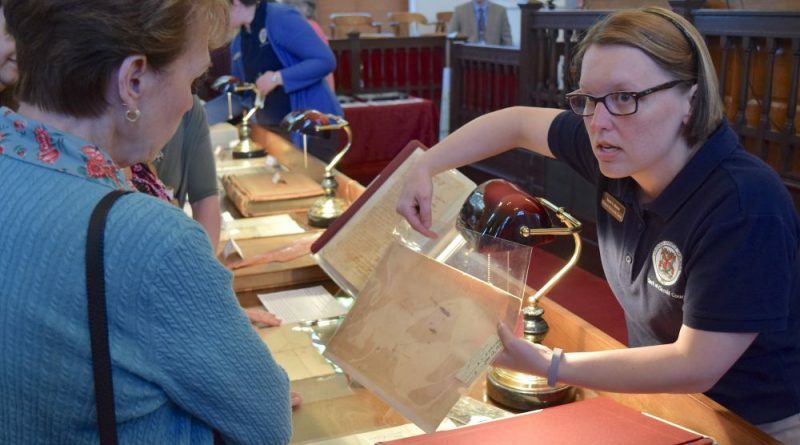 The documents, maps and other court records displayed in these programs are rare and are used to attract interest and encourage members of the public to do their own research into Loudoun’s history. In creating a Threat and Hazard Identification and Risk Assessment process, the Loudoun County Office of Emergency Management crafted an innovative methodology to assess Loudoun County’s capabilities across all types of hazards. This included building plausible scenarios, conducting stakeholder interviews and identifying desired resources to enhance the county’s ability to effectively respond and recover from a significant event. To help partner agencies in the planning process, the Office of Emergency Management provided an enhanced level of support by developing a customized planning toolkit and also a process to track progress for each assignment. In response to a number of localities asking for information about Loudoun’s successful effort, OEM authored a THIRA Guide for Localities, which explains Loudoun’s methodology, illustrates best practices and catalogs lessons learned. The Loudoun Metrorail training simulator includes a 95-foot replica of the Washington Metropolitian Area Transit Authority’s double track system, complete with third rail sensors and high voltage signage. The Fire and Rescue Department and the Department of Transportation and Capital Infrastructure worked with WMATA to obtain two decommissioned Metro railcars for the simulator, which is located at the county’s fire and rescue training academy. The simulator will provide innovative training opportunities for first responders and other public safety personnel in preparation for the start of Metro Silver Line passenger service in the county in 2020. The Loudoun County Senior Summer Camp Program received a Park and Recreation Program Award from the National Association of County Park and Recreation Officials. Participants in the Department of Parks, Recreation and Community Services’ Adventure Camp for ages 55 and older were offered the opportunity to explore the native flora and fauna of Virginia within the ecological setting of Banshee Reeks Nature Preserve. Learning formats included lectures, demonstrations and hands-on field activities. There were many nature-themed highlights over the four-day camp, including stream health and aquatic invertebrates; viewing the solar eclipse with a NASA expert; butterfly and bird watching; and learning about pollinators and fishing.